written and illustrated by the most perceptive of its modern investigators." -- From the Preface by John Michell "This book makes available in the most direct and disarming way the sometimes difficult ideas of the ancient Platonic Quadrivium. The author has a background in primary education and the book is presented with the clarity of a teacher’s lesson plan. Each section is integrated with analysis of architectural and art objects across the historical and cultural spectrum." -- Institute of Classical Architecture and Art bookstore review And a great bargain of 5,120 words per ounce! (You'll have to purchase A Beginner's Guide To Constructing The Universe (HarperPerennial paperback or Kindle ebook) at your favorite book store or website! Constructing The Universe Activity Books Click on any Constructing The Universe Activity Book cover below to learn more about it. Perhaps you'd prefer to learn about these topics in digital form! that the fate of empires depends on the education of youth." -- H.L. Mencken "The central task of education is to implant a will and facility for learning; it should produce not learned but learning people. The truly human society is a learning society, where grandparents, parents, and children are students together." Which of the following interconnected topics are you interested in? The numbers 1 through 12 and their practical and symbolic language of geometric patterns in nature, art and culture. An appreciation of sacred traditions and related topics. "Cosmic Dozens: Twelve-Fold Designs of Society and Art "
Click on this picture to see some geometric watercolors I've painted. Egyptian Mathematics: See how the ancient Egyptians multiplied without a "times-table" the way modern computers do. Fibonacci Numbers: See how the plant world is structured mathematically. (Introduction starts at about 2:00 minutes, Michael @ 3:00). Click here to hear a review of "A Beginner's Guide To Constructing The Universe" regarding mathematics education. Click here to hear a review (podcast or .mp3) by Jeffrey Millburn at Omni Art Salon about using the book for developing awareness. Click here to listen to Documentary Film Maker Elizabeth Upton speak about Michael's work in an interview about "Sacred Geometry" on Mike Hagen's Radio Show (10.5 Mb .mp3 audio file). Mathematics is rarely associated with art these days, and their connection is almost never taught to art students. Yet, the greatest works of art, crafts, design and architecture of many cultures and times most certainly used these ideas. And while geometry — aka spatial relationships -– is included in every definition of artistic composition, its application and psychological impact on the viewer are poorly understood. It's quite simple yet quite profound in its effects for feelings of harmony and rhythm. "And since geometry is the right foundation of all painting, I have decided to teach its rudiments and principles to all youngsters eager for art..."
Galileo pointed out that the Book of Nature is written in an alphabet of simple geometric shapes like circles, triangles, squares and spirals. 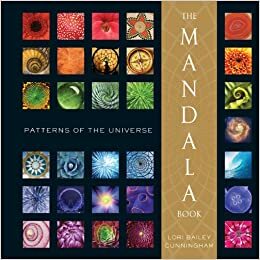 Michael contends that if we recognise and understand the principles expressed by these shapes, we’ll know what nature is doing in any situation. Just knowing about the numbers 1 through 12 is enough to understand this alphabet and the written patterns, proportions, and designs of this beautifully organized cosmos. Find out more -- Join the conversation! 7.00 pm-9.30 pm. Thursday 20 June 2019. "The New Jerusalem Diagram and the Geometer's Breakfast"
The Geometer's Breakfast is the name of a watercolor painting by John Michell. Depicting a humble meal, an egg on toast, it actually contains profound cosmic proportions. It models the Cosmological Circle diagram (see workshop below) which represents the order of the universe and the numerical code that underlies it. It contains all the relevant numbers, measures, shapes, proportions and musical harmonies found in nature. It reconciles all opposites and the disparate elements that comprise it. It is an image of paradise, a symbol of Divine Wisdom restored to Earth. It's found in ancient monuments, worldwide architectural designs, and city planning. It served as the pattern and instrument of statecraft in stable civilizations which sought to attract happiness, blessings, justice and prosperity. In this presentation, Michael will reveal the geometry behind the painting and the significance of the numbers within it. More information about the Fourth John Michell Symposium can be found here. The Cosmological Circle Diagram contains all the relevant numbers, measures, shapes, proportions and musical harmonies found in nature. In this workshop, Michael Schneider, ably assisted by master geometer Adam Tetlow, will teach participants the steps of its geometric construction using compass and straightedge. you might marvel at this unexpected appearance of the famous Golden Ratio first discovered and expressed in marvelous ways by the artist Jo Niemeyer. How to Draw the Oval of the Oval Office Hint: two Golden Rectangles! "Education means to bring out wisdom. Indoctrination means to push in knowledge." 8 Sept 2018 "Children are less inquisitive and ask fewer questions because their minds have been dulled by iPads before they even enter primary school, according to the head of Britain’s biggest head teachers’ association. Andrew Mellor, the president of the National Association of Head Teachers (NAHT), said children were coming into school as passive rather than active learners because parents were using iPads as “soothers” to keep them quiet. He said it prevented them developing their imagination and an inquisitive mind which came from reading picture books with their parents." 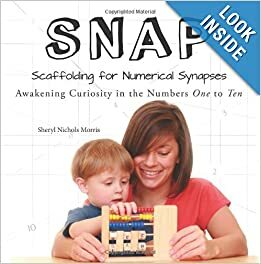 Read more... Click headlines to read... Children are better off doing activities which use their hands to develop small finger muscles and their imaginations! Try handwriting with pencils (bring back cursive! ), drawing, sewing, weaving, model building, stringing beads, playing with clay, sorting small objects, using scissors, crumple paper, pop bubble-wrap, build with blocks, button shirts, use a geometric compass, or a thousand other traditional activities! What data is being collected about your children, and what can you do about it? "When writing Numbers be sure to Capitalize them!" “[The aim of public education is not] to fill the young of the species with knowledge and awaken their intelligence. . . .
and creative self-expression designed by a teacher for ages 6-12! Question: How many mathematicians does it take to screw in a light bulb? 2019 is simply the product of 3 x 673. It's also the smallest number that can be written in 6 ways as the sum of the squares of 3 prime numbers. Remember 2016? (10x9x8x7x6) / (5+4+3+2+1) = 2016 Can you find other ways to combine the first ten numbers for a total of 2016? To see some, click here. Does 5x5=25 or 14? Are you sure? Ma and Pa Kettle mix mathematical principles in this amusing old movie clip on YouTube. Can 7x13=28? It doesn't seem likely, but perhaps you'll be convinced! Abbott and Costello also mix mathematical principles in this amusing old movie clip and also this one on YouTube. Watch this NOVA TV program about the appearance of math in the cosmos. What do the 50 stars on the flag of the United States represent? Most people will say that the 50 stars stand for the 50 states, but that's not completely correct! thus, the 50 stars represent the People of the 50 states, not the states themselves. They're there to remind us that the ultimate power in the United States resides in the hands of free people who consent to be governed, not in any government that the people have elected to protect and serve them. Fifty stars represent free citizens ruling themselves, having inalienable rights , not subjects of any government deciding which rights to grant or deny them. It's important to remember this, and that the blue field should never be replaced with any other symbol than 5-pointed stars, representing We The People. have in common with the Earth and Moon? Want a unique Earth-Moon Squared-Circle T-Shirt? Sorry, they're no longer available, but you can click on the picture for more information about the design. A Rare Rectangular Galaxy Was Recently Discovered! For three years this classroom was dedicated to teaching adults and homeschoolers age 8 - 13 about nature's mathematical wonders. We emphasized traditional geometric construction with a compass and straightedge to explore nature's many marvelous shape and number patterns. And then the students transformed their learning into art. I love seeing the same idea manifest in as many unique expressions as there are students. when free of textbooks and time constraints. branches and berries using the ideal Golden Ratio angle of 137.5 degrees between consecutive growths. having appeared for a while and then faded back into the mist of time, a Brigadoon of mathematical education. and the many friends and supporters of the Classroom and this positive approach to mathematics education. What next? The contents of the classroom are going into storage, like a seed pod awaiting the proper conditions for another bursting forth. for teaching and learning the many topics this classroom gave me the time and enthusiastic students to create. "How I Came to Write A Beginner's Guide to Constructing the Universe"
I wrote this autobiographical essay and answered questions as Author of the Month (December 2013) at the Graham Hancock website. Follow my journey of learning through its links. Scientists finally prove what I wrote about in 1993! Click on the disc for more information! they happen to be the same." "We have to admire in humility the beautiful harmony of the structure of this world — as far as we can grasp it..."
"One of [the brain's] functions is to make the miraculous seem ordinary, and turn the unusual into the usual. Otherwise, human beings, forced with the daily wondrousness of everything would go around wearing a stupid grin, saying "WOW" a lot. Part of the brain exists to stop this happening. It is very efficient and can make people experience boredom in the middle of marvels." Fibonacci Garden: Mathematics in the Plant World An original four-hour DVD $29.95 On Sale! Only $26.95 Click on the disc for more information! of images and information from my Fibonacci Garden DVD. Click on the cover above to explore the magazine. Do you want to learn to use a geometric compass? to use a compass for geometric constructions and their connection with the shapes and patterns shared by nature, science, technology and art. Appreciated by Teachers, Artists, Designers, Architects, Home Schoolers, and Self-Motivated Learners! 730 pages filled with original activities for you to do with a compass and straightedge! Over 7 Pounds of Knowledge! "An investment in knowledge pays the best interest." - Benjamin Franklin These six volumes, along with "A Beginner's Guide to Constructing The Universe" and DVD "A Journey From 1 to 12,"
the corresponding geometric constructions themselves and upon images from nature and art. You can also play with the geometric acetate overlays upon the pentagonal images from nature, art, science and technology in "Secret Windows" Activity Book Volume 6. The Fibonacci Garden DVD: Mathematics in the Plant World goes along with Activity Book Volume 3: The Fibonacci Numbers and Golden Mean. Here is the website of the Norwegian painter Siv Moa Lonning who has used these books and DVDs in planning her beautiful "Symphonies of Geometry". but to me there is no doubt about it! in symbolic and mythological alignment with the eternal Truths found in mathematics, in simple numbers, shapes and their proportions. in the geometric composition and symbolism of ancient Egyptian arts, crafts and architecture. at the National Academy of Sciences' Beckman Center at UC Irvine, California. If you're interested in Egyptian art and/or the Golden Ratio then you might enjoy its interesting examples. For example, a Golden Rectangle surrounds this Udjat (eye) pectoral. It's divided into a large red square (right) and vertical Golden Rectangle (left, split into square and smaller Golden Rectangle) containing the vulture goddess Mut. Mut simply swings her wing and divides the Golden Rectangle into a square above a smaller Golden Rectangle (yellow). the essential idea of Golden Ratio mathematics. 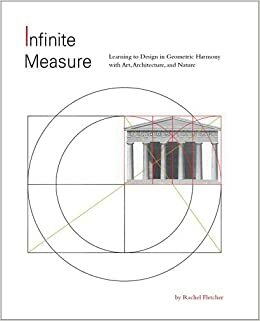 "dedicated to collecting and preserving individual expressions in art of the myriad aspects of the Golden Ratio...."
it's especially fresh with links to the works of contemporary artists who make intentional use of the Golden Ratio. My dear friend and teacher, the philosopher, antiquarian, artist and writer John Michell, passed into the Light peacefully on April 24, 2009. The influence of this gentle, generous and brilliant man upon me and many others is incalculable. If you don't have a Kindle, you can get a free Kindle Reader app for your computer, phone or tablet here. A lovely reminder of John's view of things. He's present again in these short, delicious and brilliant essays. Click on the book to order it! IMO, the most important books about metrology ever written. Very valuable geometry/philosophy newsletters published by Keith Critchlow's KAIROS Foundation are available through the Temenos Academy. I'm very pleased to let you know that The Book of Symbols: Reflections on Archetypal Images has been published. The Diagonal -- edited by Jay Hambidge 1919 -- all 12 volumes together (downloadable pdf and for other media). A great classic in Dynamic Symmetry studies! Here are some large public mandalas in Ireland influenced by my books. They're each made of natural materials and objects. the Danish artist Kirsten Høst who develops geometric constructions into wonderful oil paintings. Michael S. Schneider has been an educator for over four decades (since 1974). He delights in exploring the intersections of nature, science, mathematics and art. Michael has a Bachelor of Science degree in Mathematics from the Polytechnic Institute of Brooklyn, (now The Polytechnic Institute of NYU) and a Master's Degree in Mathematics Education from the University of Florida (Gainesville). He taught youngsters for twelve years in public and private schools at the Middle School and Elementary school levels. In 1977, Michael was a Fulbright-Hayes Scholar in India studying ancient mathematics and sciences. He has been a computer consultant at the United Nations, IBM, Nickelodeon, MTV, NYTimes and many other corporations. He has worked for the New York Academy of Sciences, and wrote articles, posters and teachers' editions for various Scholastic magazines including Science World, SuperScience, DynaMath, and Teaching and Computers magazines. Michael was the creator and writer of the weekly "Mother Nature" segment at WNYC-FM radio on the popular live broadcast "Kids America" program (1986-87). He's also held workshops for educators at The Metropolitan Museum of Art in New York through their Education Department including "Science in the Art Museum", "The Mathematics of Islamic Art" and "Showing Children Harmony".In 1993 Michael worked with master stonecarver Simon Verity to design the geometry harmonizing the statues on the south side of the "Portal of Paradise" (central entrance) to the Cathedral of St. John the Divine in New York City. During 1996-97 Michael was the Dean of Mathematics and Dean of Science at The Ross School in East Hampton, NY. He presently lives in northern California. Michael is the author of "A Beginner's Guide To Constructing The Universe: The Mathematical Archetypes Of Nature, Art and Science" (HarperPerennial paperback 1995), six "Constructing The Universe Activity Books" and numerous articles concerning mathematics and teaching mathematics through nature, art science and philosophy. Although the back of A Beginner's Guide... says that Michael lives in New York City, he actually resides in Marin County, California. From 2001 to 2018 he was a Senior Adjunct Professor at the California College Of The Arts (San Francisco & Oakland) teaching art students "Mathematical Ideas For Artists" as Durer might have. He's also taught at the Ex'pression College For Digital Media in Emeryville and the Sophia Center For Graduate Studies in Culture and Spirituality at Holy Names University in Oakland.